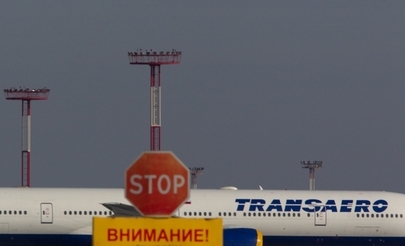 Home » Aerospace » Transaero Airlines: too big to fail or to support? Transaero, Russia’s second largest carrier, is on the verge of bankruptcy as its AOC (Air Operator Certificate) is to be canceled on October 26. Nevertheless, the company continues to struggle for survival. Furthermore, the airline’s fate will determine the future shape of the Russian civil aviation market: it will either turn into an Aeroflot-dominated monopoly or change into a competitive duopoly with Aeroflot Group and S7 Group as the key players. Transaero found it impossible to continue operations after its debt reached an astronomical 260 bln rubles (around $4 bln). Last December, the airline received a loan of 9 bln rubles (around $180 mln) in state support. At the end of August the carrier asked the government for another 40 bln rubles (about $666 mln), but its request was declined. Instead, the government offered Aeroflot to buy 75% plus one share in Transaero, and to help the troubled airline continue operations. That deal was canceled in late September because Transaero’s shareholders had failed to consolidate the amount of shares required prior to the expiration of Aeroflot’s offer. After that it looked like the only option open to Transaero was to go bankrupt, but the major creditors were very much reluctant to file suits against the carrier (to date, only government-owned Sberbank and privately-owned Alpha Bank have sued). A completely unexpected bailout of Transaero was proposed by Vladislav Filev, one of the airline’s major shareholders and CEO of S7 Group, Russia’s third largest airline. On the evening of October 20, Filev announced a deal with Alexander Pleshakov, Transaero’s key shareholder, to buy at least 51% in the airline. The deal was supported by some of the creditor banks, which will presumably help convert the Transaero debts to equity in the bid to rescue the company and secure further growth of its capitalization. The deal sparked a quick response from the government: on the very next day Russian Civil Aviation Authority announced that Transaero’s AOC would be canceled on October 26. Also on October 21, the interdepartmental commission for clearing carriers to perform international flights decided to give 56 of Transaero’s 154 city pairs to Aeroflot. The remaining 96 routes are not particularly commercially appealing at present. Using solid connections in the government, Transaero many years ago launched a liberalization process on Russia’s international air services market. The airline became a second designated carrier on many of the routes which previously were exclusively served by Aeroflot (such is the Moscow – Paris city pair). Now all these commercially viable routes will be controlled by Aeroflot Group. In his latest interview to Russian daily Kommersant, Filev said that Transaero’s destinations would secure Aeroflot Group more than 80% of the entire volume of international flights performed by Russian carriers from Moscow, and over 60% of all domestic routes, effectively turning it into a monopoly. Aeroflot enjoys the government’s support, but Filev’s plan has been backed by major state banks, whose subsidiary leasing companies have run into problems over Transaero’s fleet (VEB-Leasing owns 35 of the carrier’s airliners, and VTB Leasing owns 21). Remarketing these airliners is very difficult, so the banks would rather prefer for Transaero to continue operations. Filev did not rule out the possibility of gaining support of Sergey Chemesov, the influential head of Rostec State Corporation and a friend of President Vladimir Putin. A final decision is bound to be made at a higher political level, and will be much more about politics than economy. Two scenarios are believed to be possible: either Aeroflot Group will get to dominate the market, or there will be two major players of comparable size (although Aeroflot Group is going to be bigger than S7 Group in any eventuality). However, the level of competition is going to be completely different depending on which scenario is implemented. For some background information, Transaero in 2014 held around 14% of the Russian air transport market with 47.1 bln revenue passenger kilometers and 13.2 mln passengers carried. The carrier’s enormous debt had been mounting over several years due to its aggressive strategy of fast growth in the growing market. The key shareholder, Alexander Pleshakov and his spouse Olga Pleshakova, formerly Transaero CEO, relied on state support (partly through Pleshakov’s mother Tatiana Anodina, the head of the Interstate Aviation Committee), hoping that Transaero was too big to fail. However, the economic recession in Russia, the ruble’s depreciation, and a dramatic drop in international traffic made Transaero too big for continuing state support.